I'm debating whether or not to hide the cover of the paperback novel I'm currently reading whenever I go out in public. 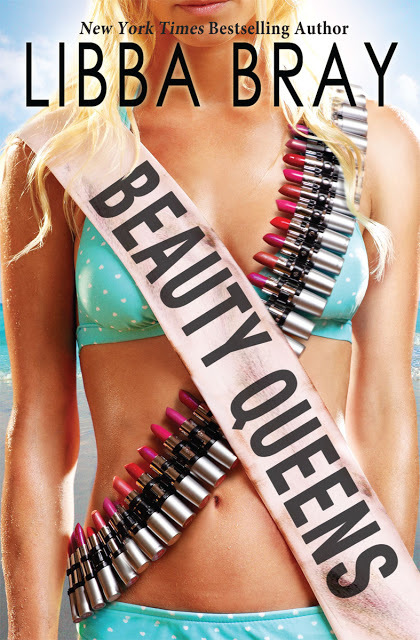 Beauty Queens is about a group of plane crash survivors trapped on a deserted island. 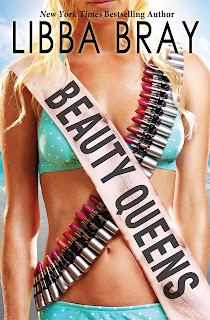 It just so happens that these survivors are the scantily-clad contestants of the Miss Teen Dream pageant, a televised event sponsored by "The Corporation," a large conglomerate that basically controls everything in the world. The over-the-top yet wonderfully paced book serves 396 pages of delicious satire. Everything about it -- the clueless characters, the sharp dialogue, the WTF-worthy interludes, even the clever prologue titled "A Word From Your Sponsor" -- makes for an entertaining read. It's basically what Lord of the Flies (or Battle Royale) would look and feel like if it were documented by Bravo reality show cameras. It's a shiny, glossy commentary on the state of female roles in America as well as a suspenseful adventure begging for a big-screen adaptation (I'm pretty sure some producer has already purchased the rights).